Teachers all over the United States have reason to celebrate because they get to spend their days teaching children. They chose to become teachers for this very reason, and we should acknowledge them for their dedication. 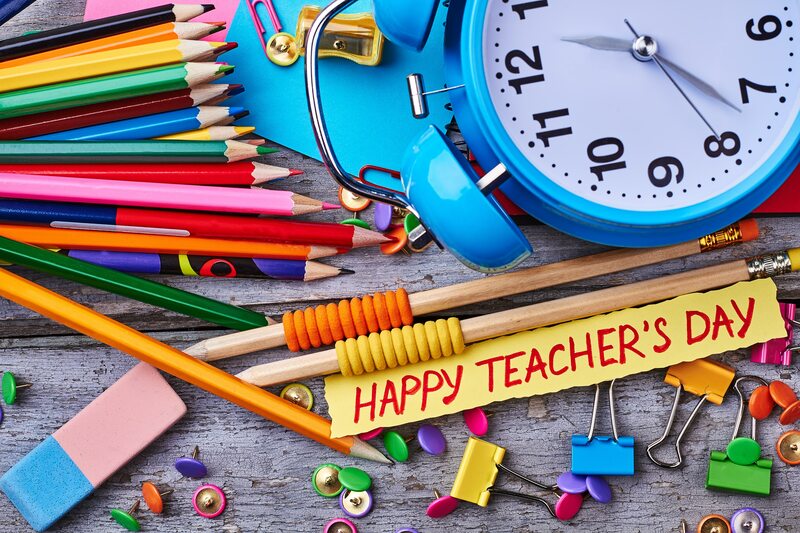 This year, Teacher Appreciation Day falls on Tuesday, May 8, 2018, during Teacher Appreciation Week, which occurs yearly on the first full week in May. 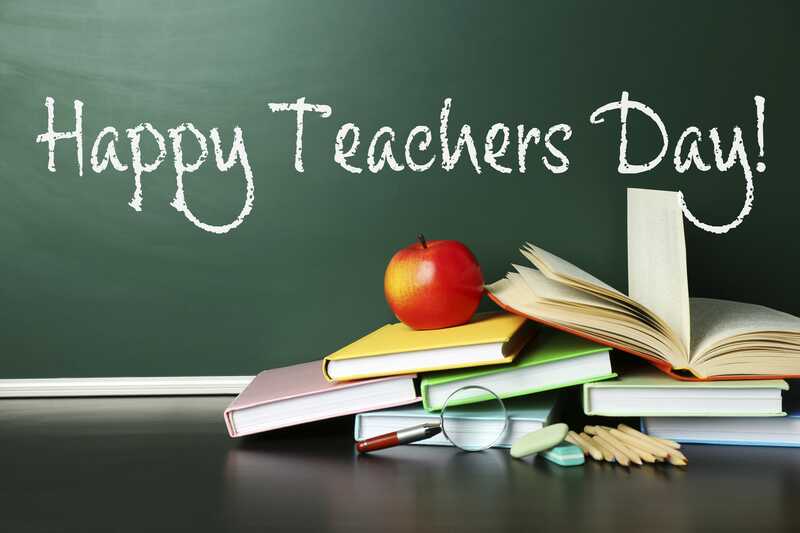 Teacher Appreciation Day gives us the chance to celebrate our special heroes, our teachers. 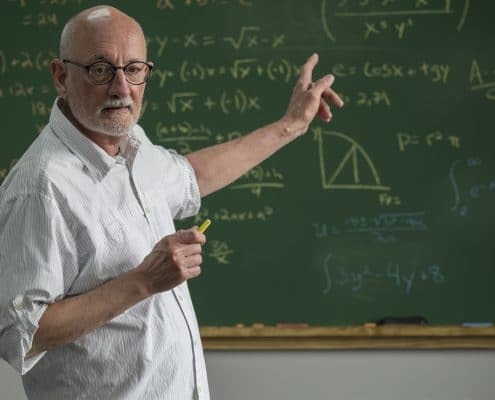 The exact origins of National Teacher Day are unclear. However, what is known is that Mattye Whyte Woodridge was a teacher in Arkansas, and sometime around 1944, he started talking with education leaders and political leaders about the idea of a day to honor teachers. He then wrote to Eleanor Roosevelt, who tried her best to convince Congress in 1953 that a National Teacher Day was necessary. 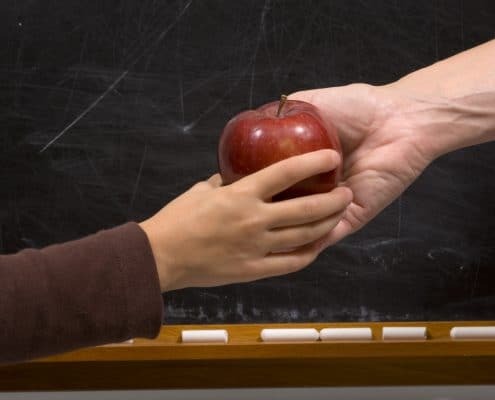 In 1980, the National Education Association fought alongside the Kansas and Indiana State Boards of Education to make Teacher Appreciation Day a nationally celebrated day. Congress agreed to make March 7 National Teacher Day, but only for that year. In 1984, the National Parent Teacher Association fought for a national Teacher Appreciation Week, which is now the first full week in May. A year later, the NEA voted to move National Teacher Day to the Tuesday within Teacher Appreciation Week. Teachers watch over our children and keep them safe. From preschool age and beyond, teachers are there almost every day, teaching our students the skills they need to move forward, in school as well as in life. Kindergarten teachers teach our children their numbers and letters, as well as how to play nice with others. Fifth-grade teachers help students transition from elementary school to middle school. In middle school, students learn organizational skills, social skills, and how to move from one classroom to another. In high school, teachers teach their students to write essays, complete research projects, and how to transition to college. All of these skills that teachers are providing come alongside the subjects they are teaching. And they do it because they care. They don’t teach because they want to be appreciated on the first Tuesday of May each year. They teach because it’s their calling. How Can We Celebrate Teachers on Teacher Appreciation Day? There are many ways to honor teachers, and it doesn’t have to be on any specific day. Teachers love knowing that they are making a difference in the lives of their students. If you have a teacher that you want to thank, work with your student to create or buy them a special card. Show your appreciation with a handmade craft says, “Thank You” in the best of ways. If you want to add to that idea, buy a gift card to a local coffee shop near the school, or to a store that routinely carries school supplies. If you want to go for more than five to ten dollars, get some of the other parents to pitch in, and each of you can give a little so your child’s teacher can gain a lot. Teachers mostly care about the Thank You card, but the gift card is always a nice addition. Teachers often use their personal money to buy supplies for their classroom. May is a perfect time to donate to the classroom because supplies will be running low. Once again, if you can get together with other parents, each of you can give a small amount, and it goes a long way. If you want to go with the gift card idea, then check to see if the store gives a teacher discount. That will give your teacher the opportunity to buy more supplies for your child’s classroom. Don’t worry about it being cliche, just think of it as a thoughtful idea. If your child makes a card all by themselves and then gives their teacher an apple, it is the sweetest thing and guaranteed to make the teacher feel appreciated. As mentioned before, teachers appreciate the thought, not necessarily the substance of the gift giving. They know you care and that’s enough. If your student is making a card, add your own note of thanks to it. Be specific. If your student particularly enjoys a particular activity in class, let the teacher know. Tell them they are doing a great job and that it hasn’t gone unnoticed. If they know which activities your child enjoys, they’ll know that those activities are what drives your student and they can add more events like that. Teachers know they work hard and that they are making a difference, but hearing that from parents and students makes an even bigger difference. Stores nationwide offer teacher discounts and deals with a valid teaching ID or paystub. These discounts are available year round and allow the nation to show teachers their appreciation. Discounted offers are available at craft stores like JoAnn Fabric and Michaels, clothing stores like Karen Kane and Ann Taylor LOFT, as well as cell phone providers like Verizon Wireless, Sprint, T-Mobile, and AT&T. You can find discounts at hotels and resorts across the country, and technology discounts at HP, and Apple Store for Education. 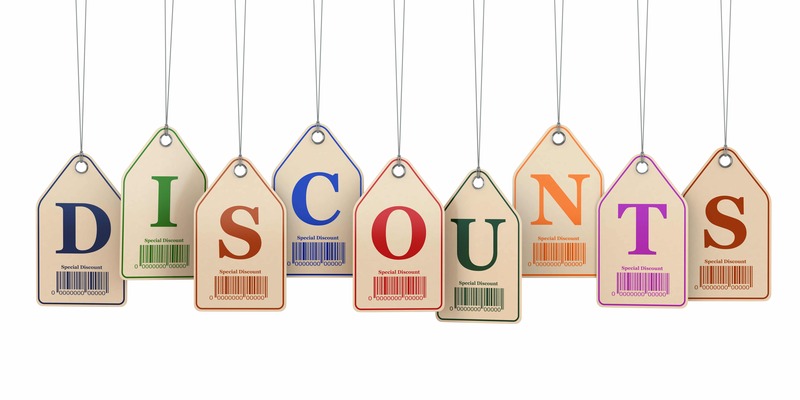 For a complete list of discounts available to you as a teacher, click here. If you are a teacher and are looking for a house, Homes for Heroes can help you earn $700 back for every $100,000 you spend on a home. You only need to work with an Affiliate Real Estate Agent Specialist or Lending Specialist. They work with you to find you the best house you can afford and then donate a portion of their earnings back to you. We know that you work hard and commit your life to helping our children succeed, and we want you to know that we see you. Thank you for your service and your dedication. We appreciate you.